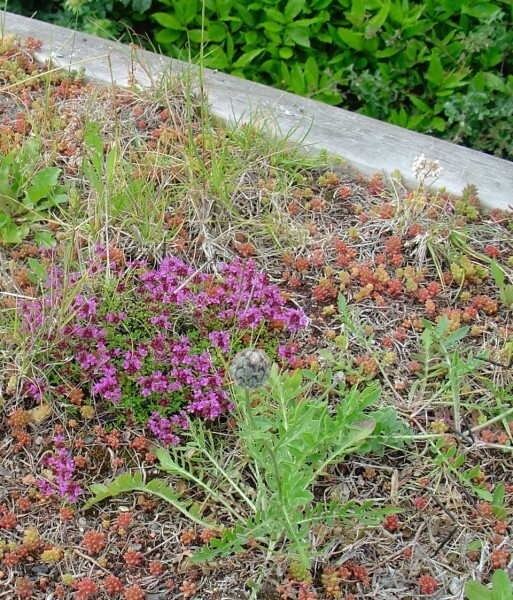 This is a must for your green roof. It will handle the heat even in soils down to 70mm, self seeds well, bees love it and smells great when you walk over it. We have quite a few roofs that we visit simply to wander around, crushing the thyme, basil and marjoram – forget the flowers, go for the smell.